Brendan Cummins thinks Cork should use All Star forward Patrick Horgan in a different role in order to kick on in 2019. 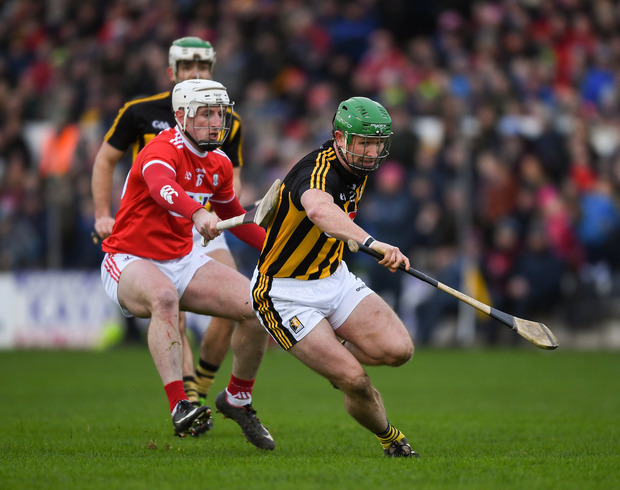 The Rebels suffered a demoralising seven-point defeat to Kilkenny in their National League opener last weekend, despite the Cats missing a number of their stars. Cork went for long periods without scoring, which was similar to some of the offensive struggles they had in the heartbreaking All-Ireland semi-final defeat after extra time to Limerick last August. John Meyler's side host Wexford in Pairc Ui Chaoimh this Sunday and Tipp legend Brendan Cummins thinks that Cork should deploy inside forward Horgan in a deeper role depending on how the game develops. Speaking on The Throw-In, Independent.ie's GAA podcast in association with Allianz, Cummins says that Horgan becomes peripheral in games on occasion and that the team would be better served if he switched to centre forward occasionally to get on more ball. "I think Cork have a huge issue," Cummins said. "They need a big, strong fella who will anchor their half forward line and allow other fellas to play. Against Kilkenny there were nine minutes where they failed to score and then 11 minutes where they failed to score. If you take last year's All-Ireland semi-final, I would have been disappointed with Patrick Horgan. He stayed inside in the corner, for me he has to come out centre forward. "When Cork are under pressure, they should play with two inside and Patrick Horgan comes out. He scored 0-5 from play yestersday, he is lethal so you do sacrifice a little bit but you need to get him on the ball more often. "I compare him a little bit to Joe Canning four or five years ago, 'if the ball comes into the corner I'll hit it over the bar but if it doesn't, there's nothing I can do about it'. You see when the penny dropped with Joe, he comes out around the middle. That's what Cork need, they need someone out around the middle third who will get on the ball when there is a crisis and they are not scoring to change the momentum of the game."